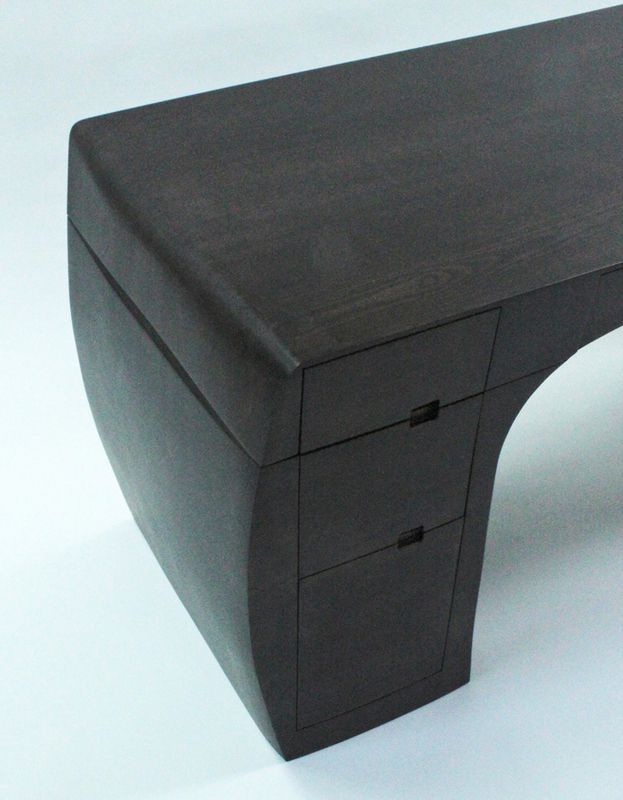 Desk in solid English ash, steam bent with oiled ebony finish. 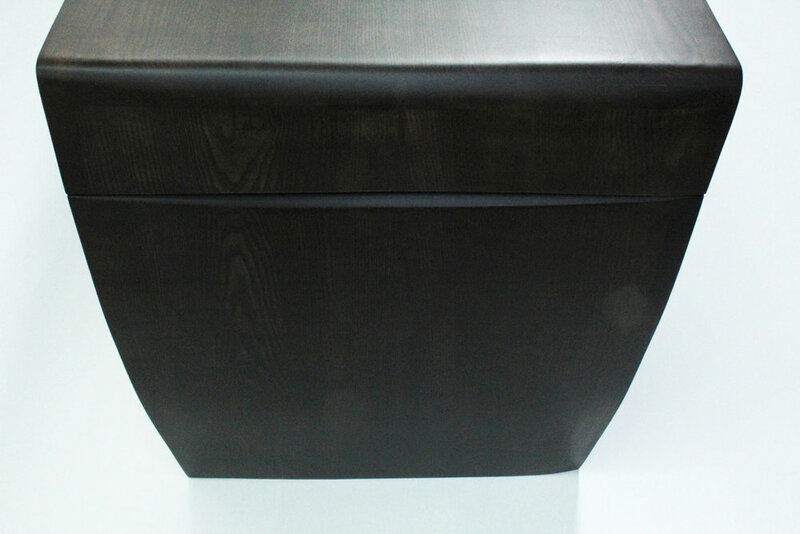 Four drawers with internal finish in oiled blond natural ash. One of an edition of three.